Interview with Peter Auhl, CIO, Adelaide City Council. Much like anywhere else in the world, kids in the South Australia capital, Adelaide, will come home from school and fire up Netflix or Youtube. But the city’s internet couldn’t cope. This couch potato habit was actually impacting the productivity of local businesses, Peter Auhl, the city’s CIO, tells GovInsider. “They could see when children were getting home from school in the afternoon because the performance of their cloud service was degraded,” he remarked. This is partly why the city is building the Ten Gigabit Adelaide fibre optic network, which will ensure dedicated and reliable connections where they are needed most – between a hospital and a medical imaging company, for instance, Auhl explains. This new fibre network running throughout the entire city will allow for dedicated connections between local businesses and the cloud “to keep away from the contention and congestion of the internet”. Importantly, it is the key element in Adelaide’s larger ambition to “reposition data connectivity” to attract investments, says Auhl. 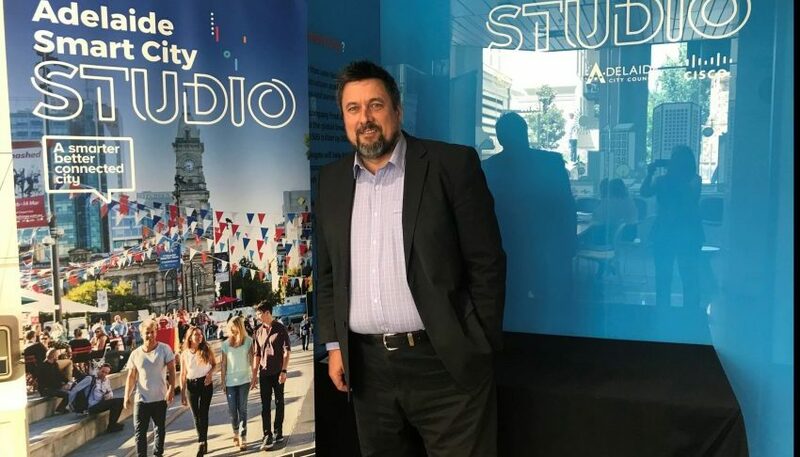 “If we can put right digital infrastructure in place, we’re hoping that will lure some of the bigger technology and data-hungry industries to the city of Adelaide,” he says. Ten Gigabit Adelaide is set to roll out early this year, he adds. Besides connectivity, the city is taking big steps towards creating a more conducive environment for businesses. Auhl’s team has developed an “economic insights platform” which collects various datasets and makes them accessible to public, allowing for more informed decisions on whether to invest in the city. “People can slice and dice information, whether that be information on where tourists are coming from, or what the economic conditions in the city are like currently, or what businesses are succeeding and which ones are not doing so well,” he explains. Businesses may not have internal skills or capabilities to curate this information themselves, he points out. The platform provides free toolkits that help them to make sense of the data. “We believe that’s a really important element to decision-making for businesses, to know what sort of environment they’re coming into,” Auhl adds. Adelaide has “huge ambitions for becoming a carbon-neutral city”, boosted by sensors and IoT networks across the city. Auhl is currently measuring and monitoring the impact of energy consumption and traffic congestion through environmental sensors. His team has also successfully trialled smart, self-compacting waste bins in streets, which have reduced the number of waste pickups a week from seven to two, he explains. To bolster grid capabilities, Adelaide is kicking off Australia’s battery revolution. It was announced last year that the city was partnering with energy and automotive giant Tesla to install the world’s largest lithium ion battery, The Conversation reported. “That’s really disrupting the energy market at the moment,” Auhl says. And to measure the impact of all these initiatives, Auhl refers to a 3D model of Adelaide, which is rich with data. It is much easier to see and analyse the impact of replacing a building with a park, for example. “You can start to see the bridges between those types of decisions, and what that meant for footfall or what that meant environmentally,” he remarks. A citizen-led approach means that the city uses persona mapping to ensure that “we’re talking to all the different demographics of customers through the city”. Auhl also gives talks on an access and inclusion panel, where he gathers feedback on the needs of citizens and how they are reacting to various new technologies. “It’s quite a different approach to the way we traditionally build solutions, walking a day in the life of our customers to make sure that the solutions are actually going to deliver outcomes,” he continues. Adelaide is poised for transformation. It is currently undergoing an “economic transition”, moving away from a heavy reliance on manufacturing towards a digital economy. There are big technological changes ahead for the city – but Auhl and his team are guided along by their mantra: ‘customers first’.